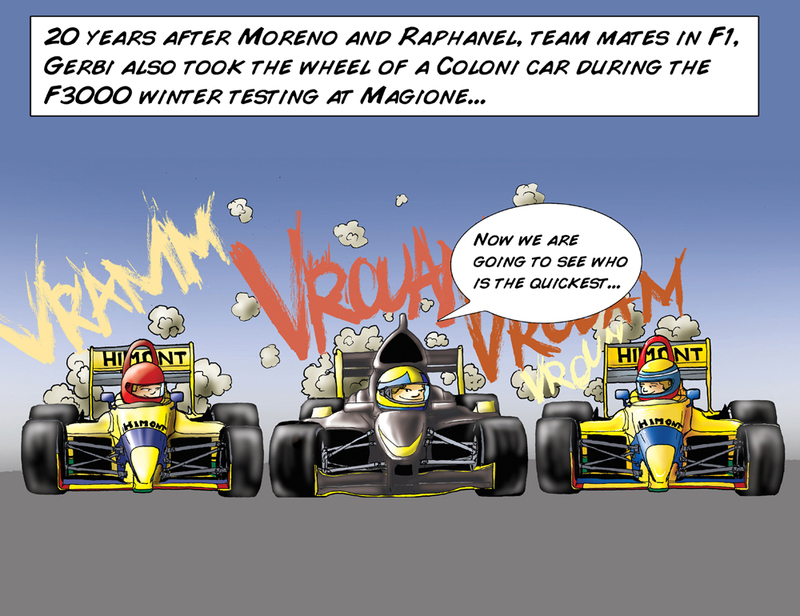 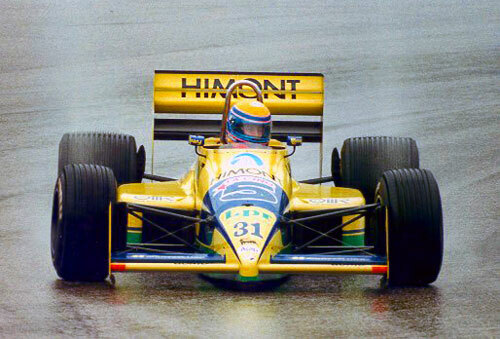 Driven by the repetitive successes in F.3 (two other Italian titles and one European in the next four years), Enzo Coloni decides to get on the most important stage in motorsport, Formula 1. 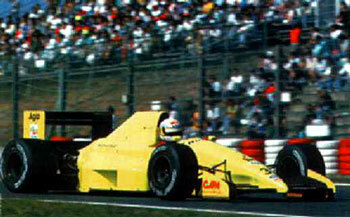 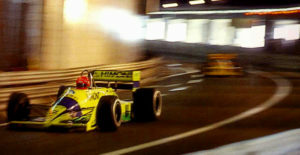 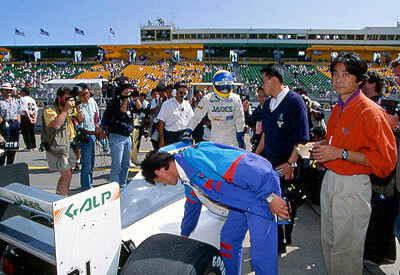 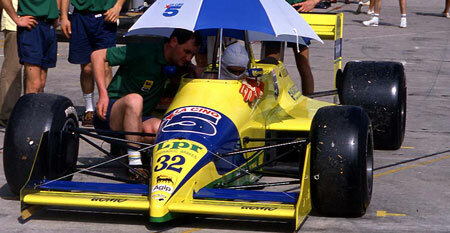 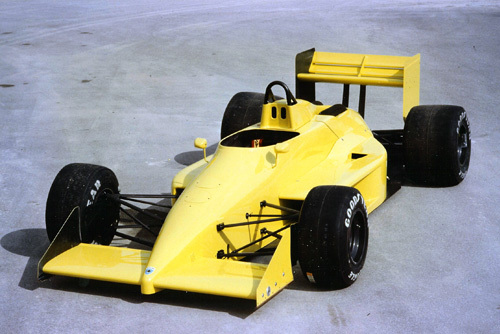 From 1987 to 1991 he deployed his car, driven by an engine first Ford then Subaru, in the World. 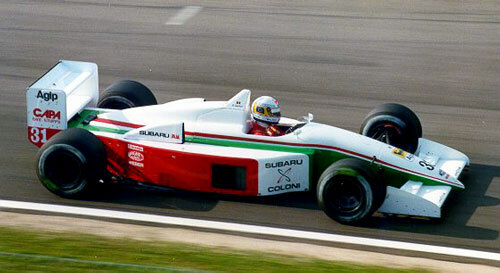 At the time when Formula One accepted and encouraged original ideas, Coloni decided to keep the soul and the history of Subaru, associating the chassis with a 12-cylinder boxer engine, designed by a legendary engineer, Carlo Chiti. 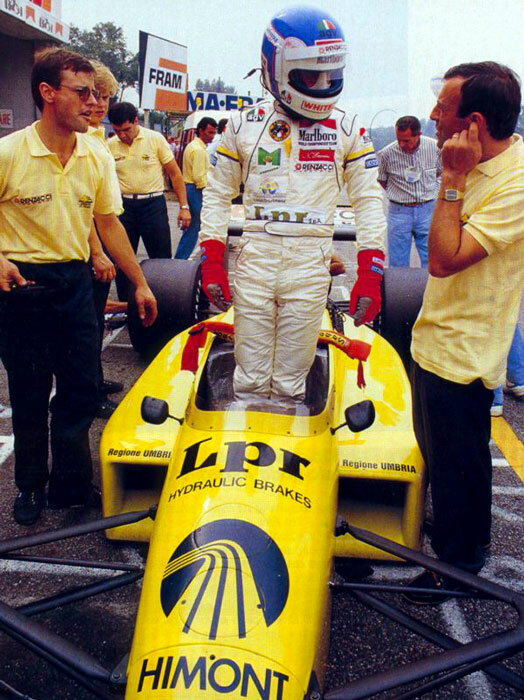 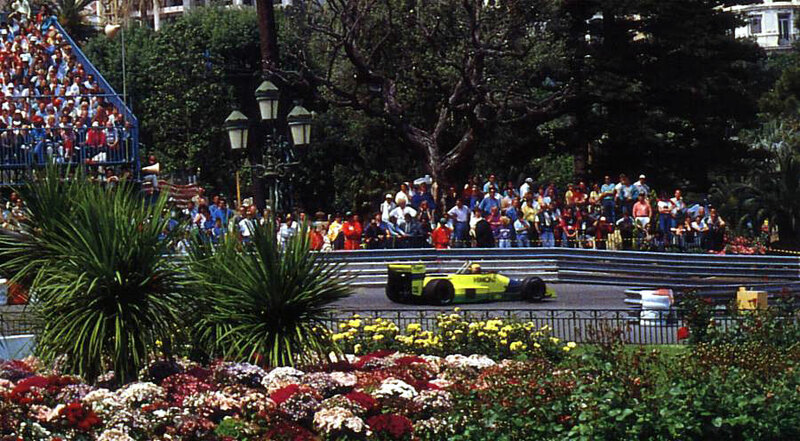 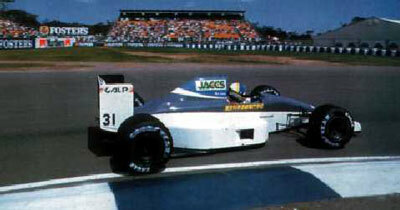 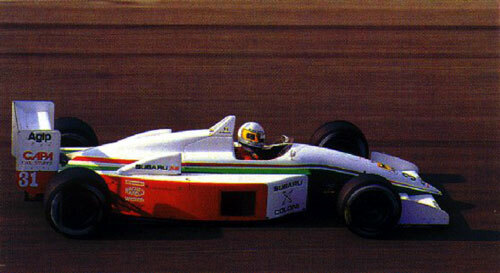 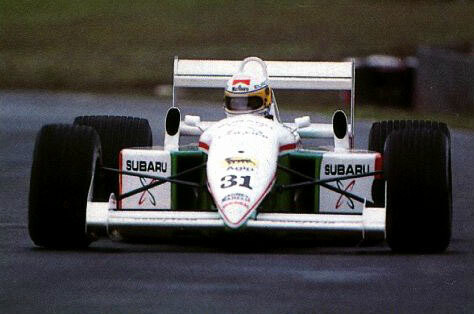 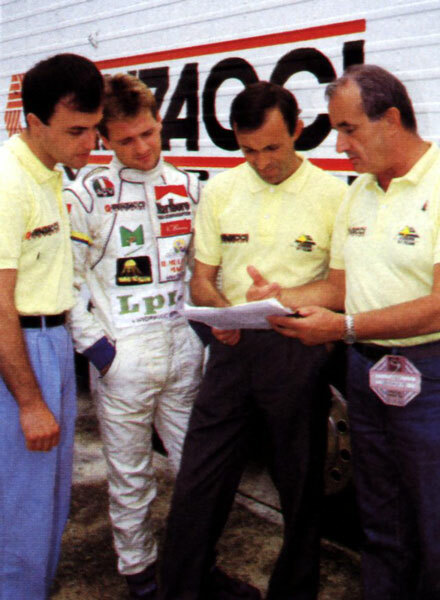 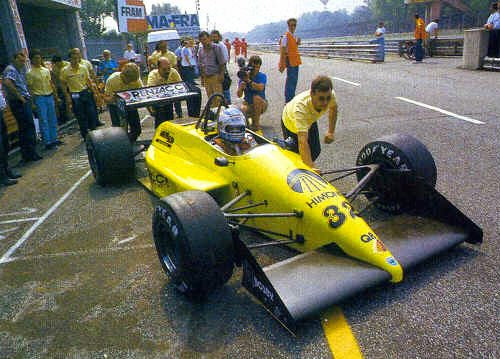 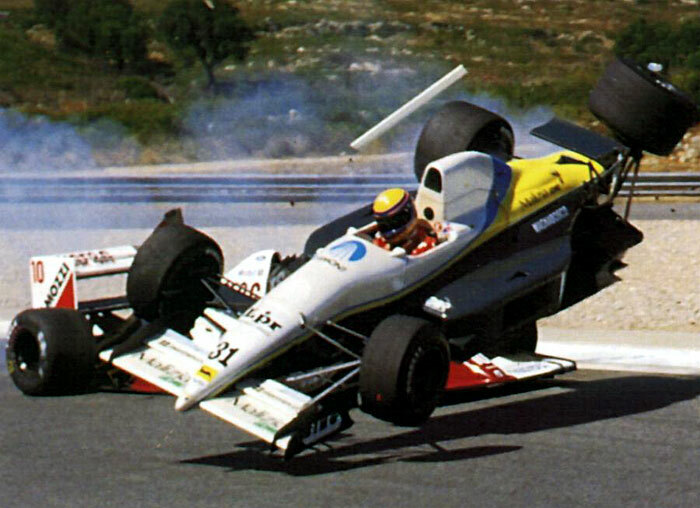 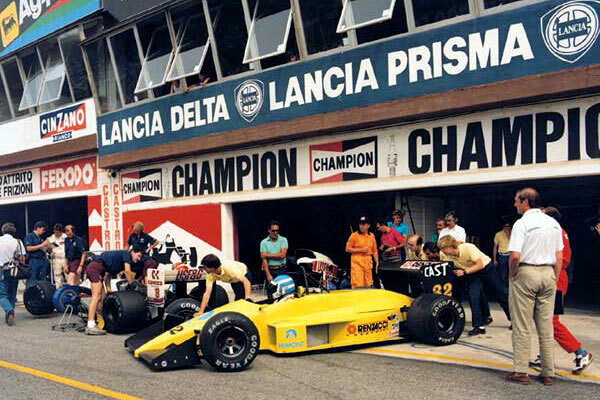 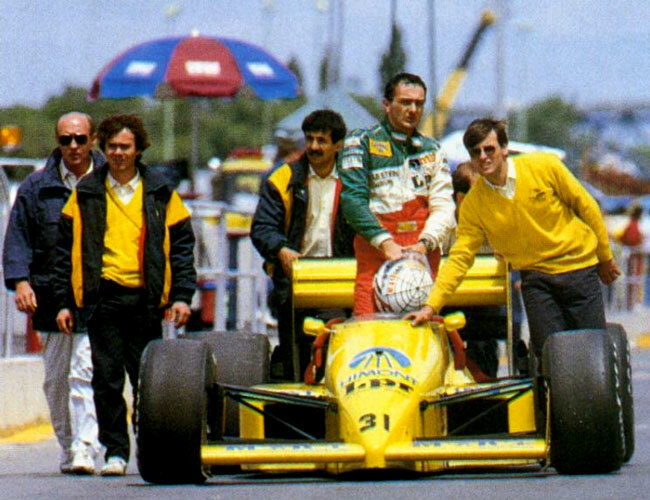 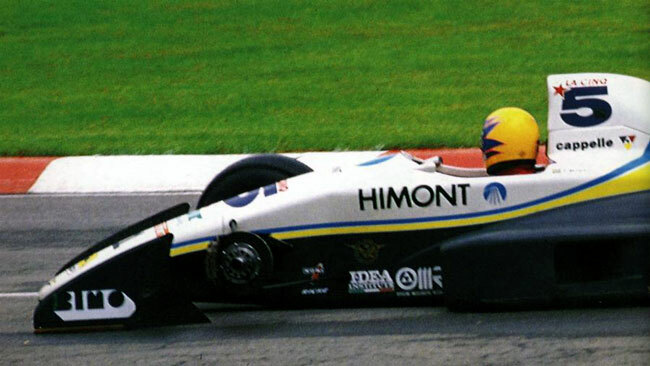 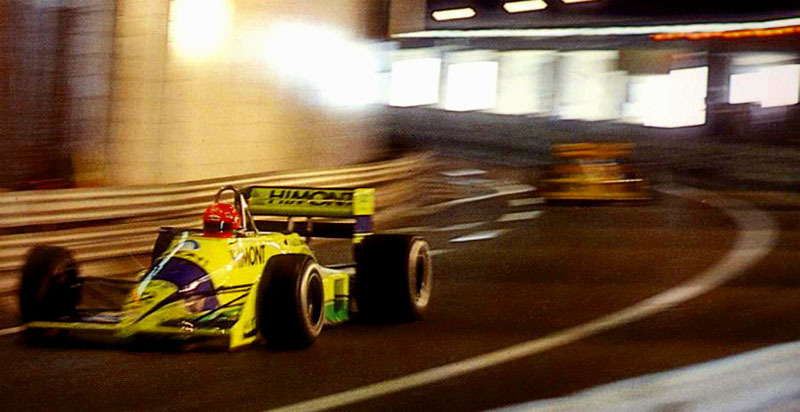 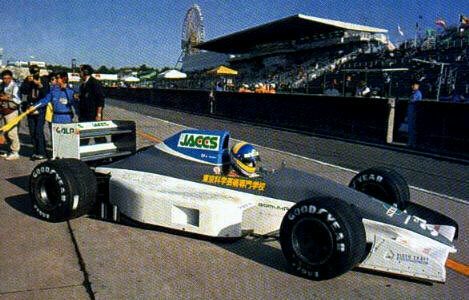 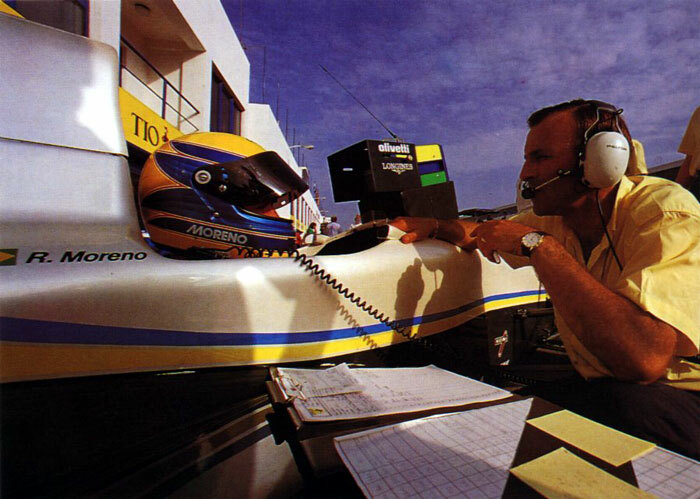 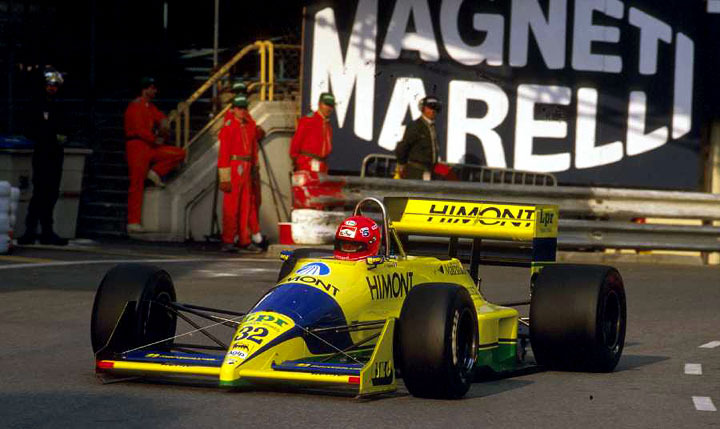 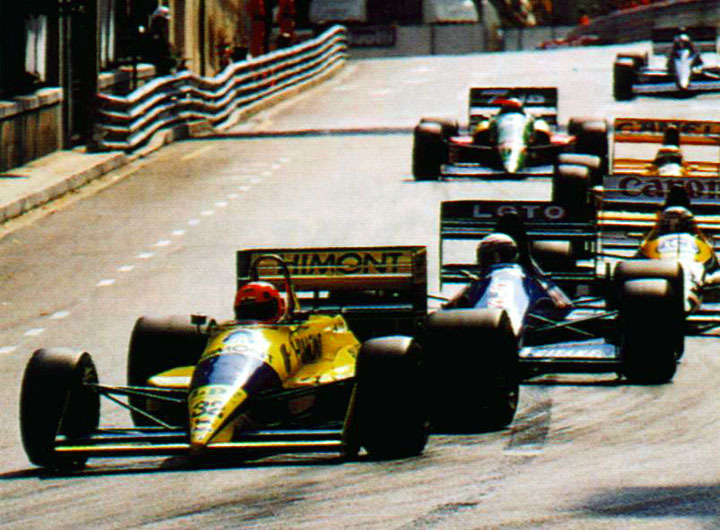 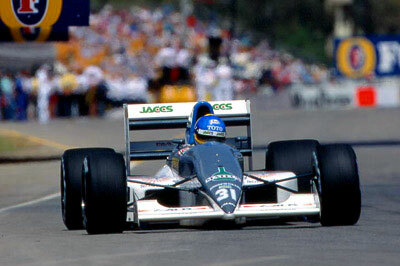 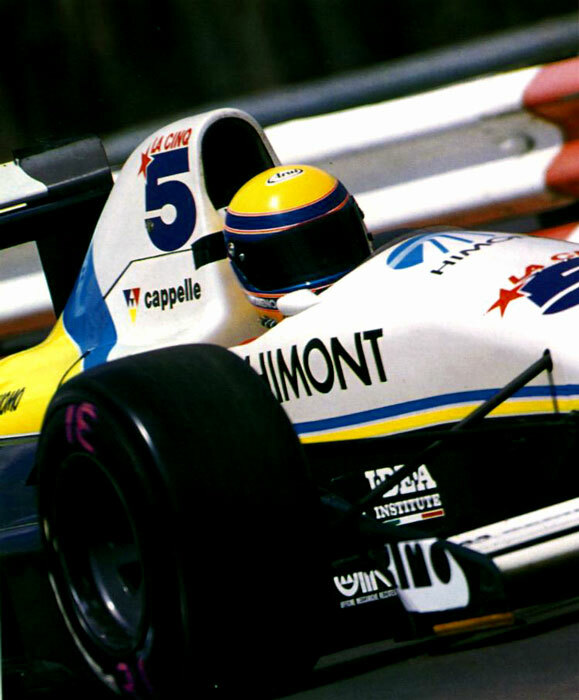 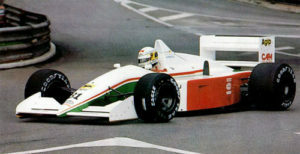 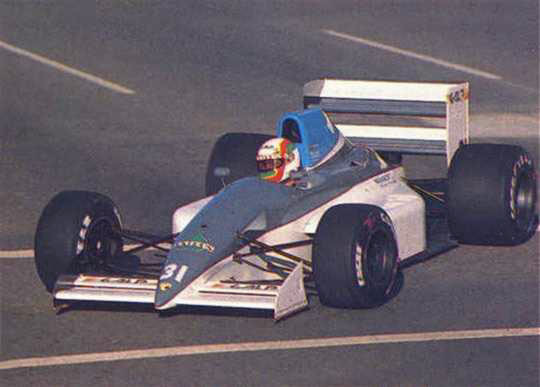 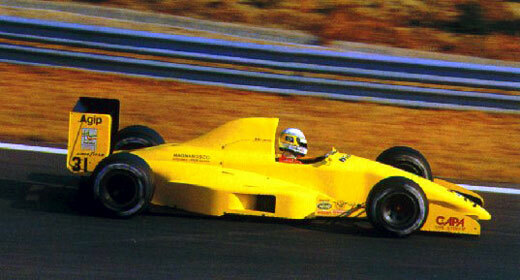 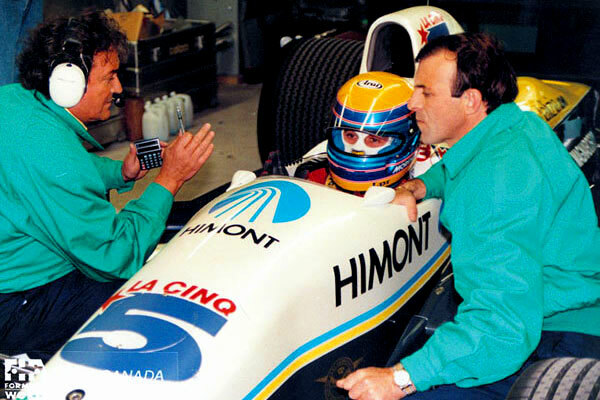 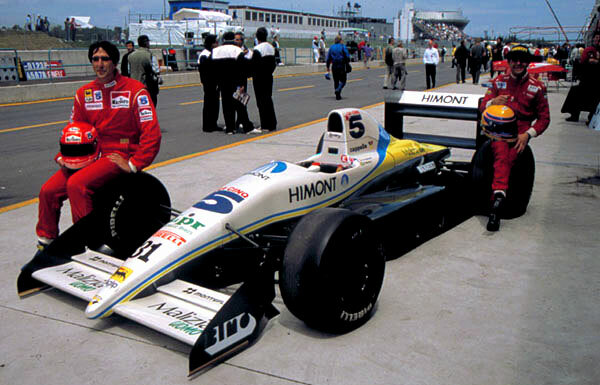 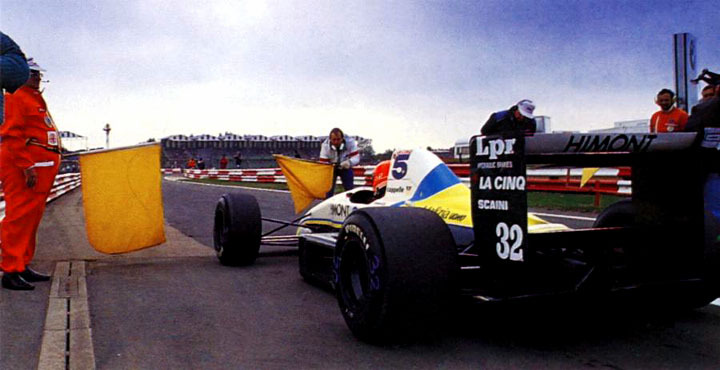 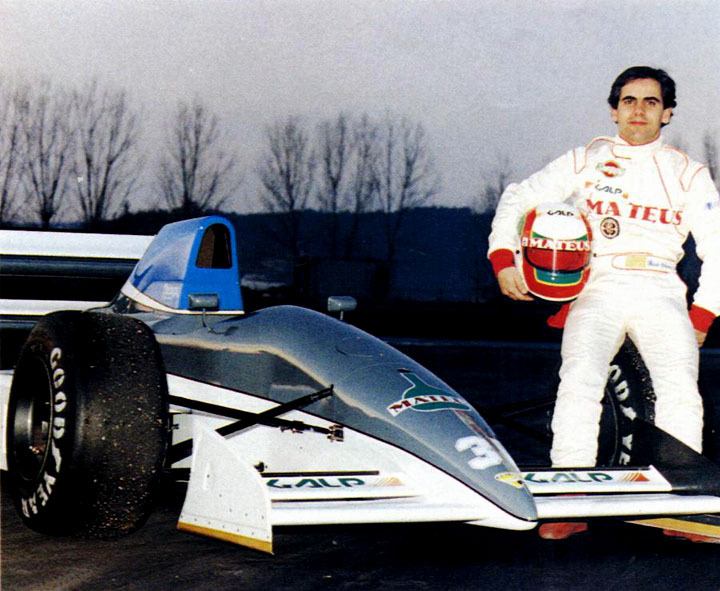 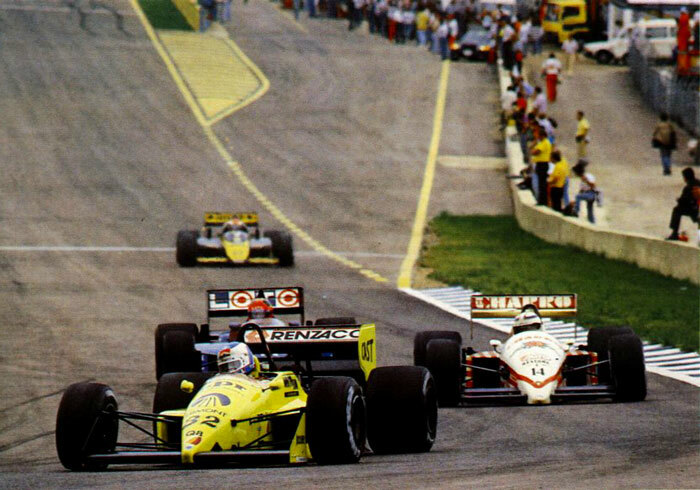 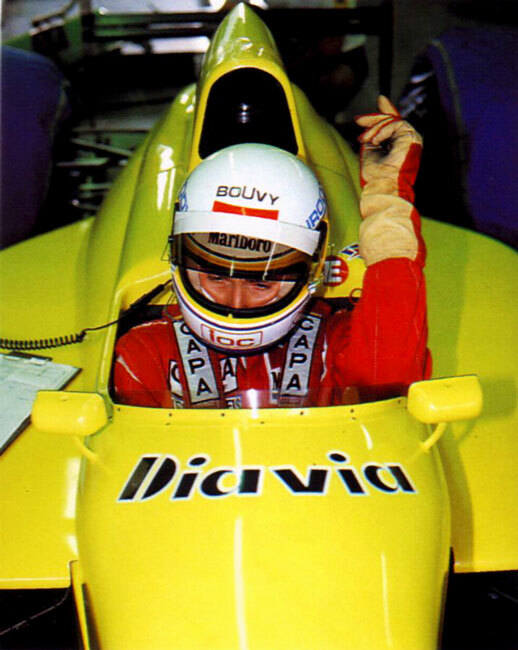 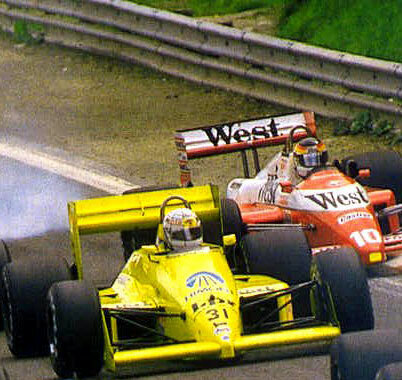 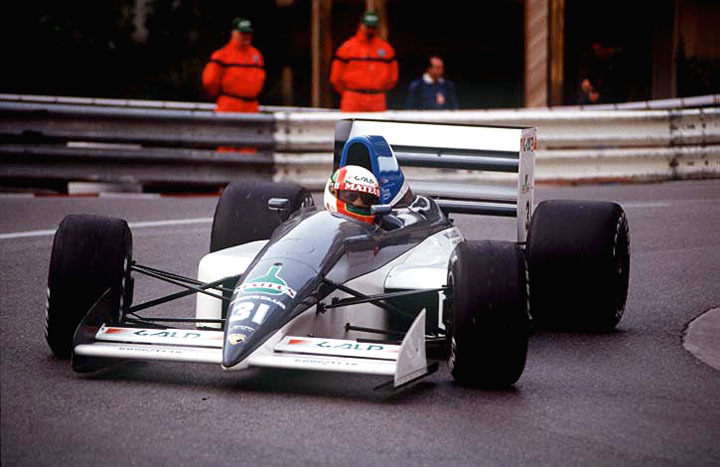 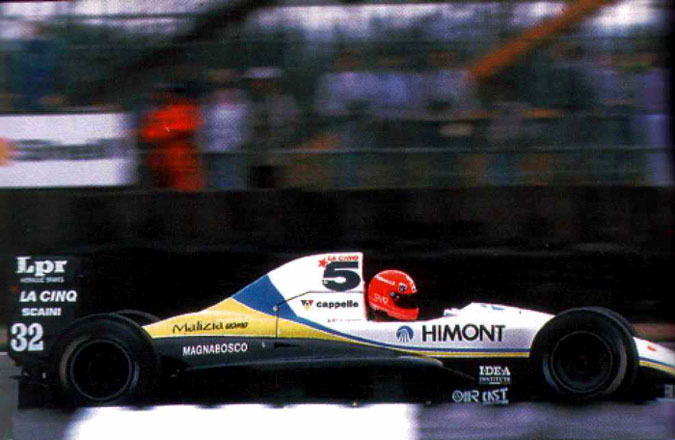 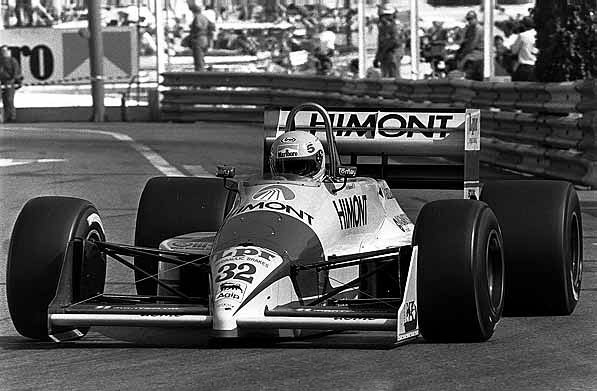 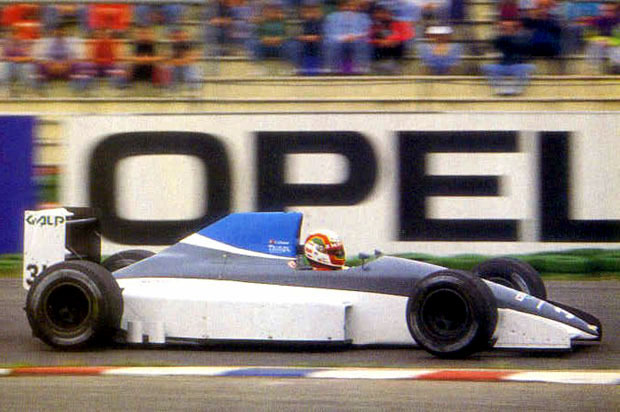 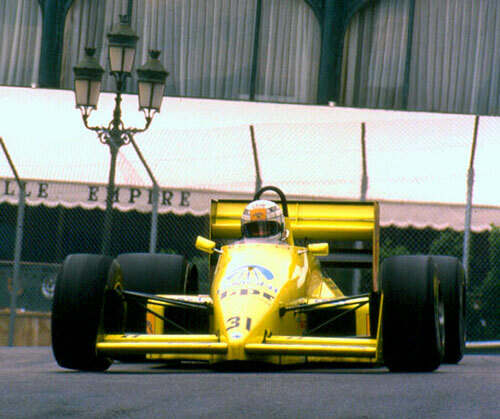 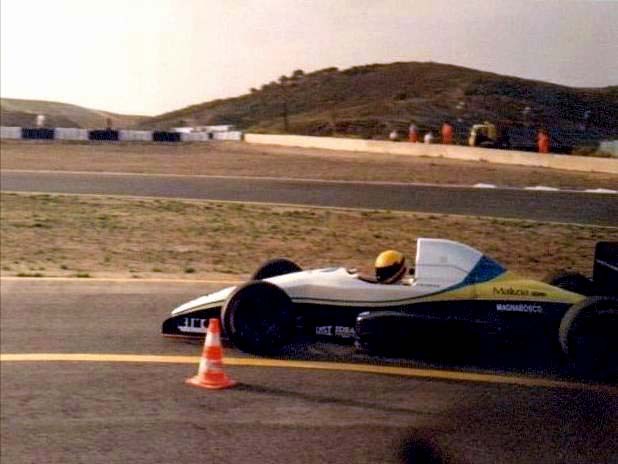 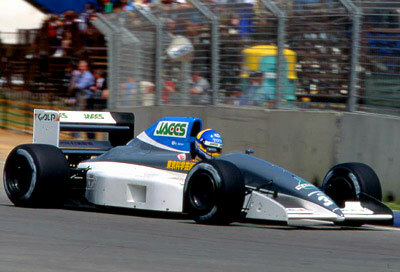 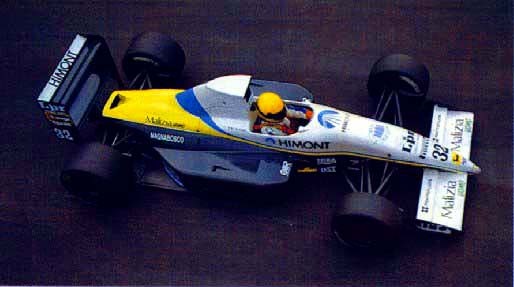 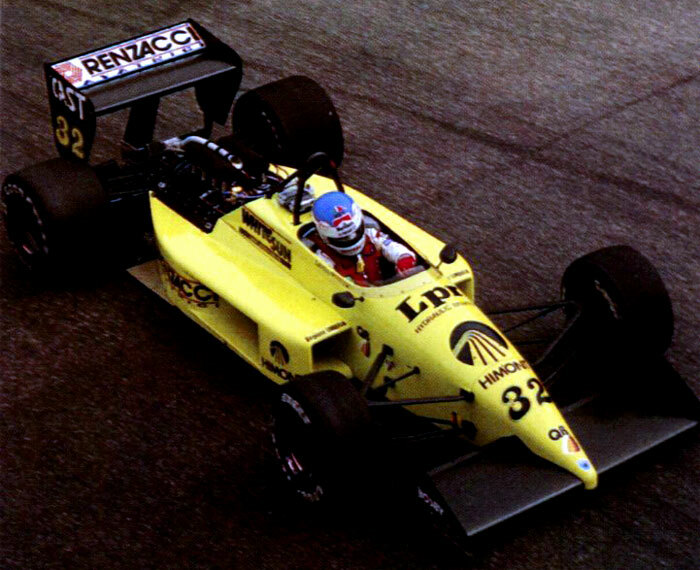 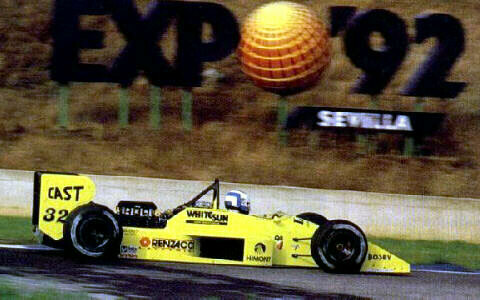 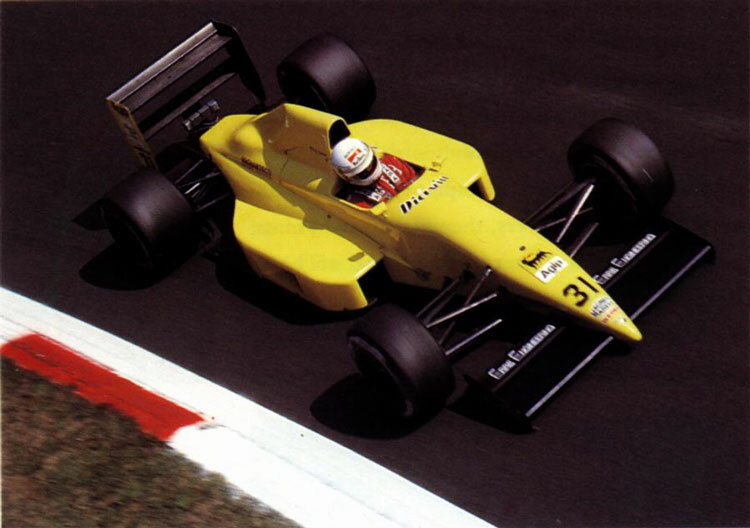 These are difficult years but full of emotions, in which Enzo Coloni makes his team the door to get to F1 for many talented drivers, names like Ivan Capelli, Gabriele Tarquini, Roberto Moreno and Bertrand Gachot.